This is a story about magic and love. There was once a convention, ostensibly about comics, called Morrison Con. That’s where this story really starts. Love and magic were in the air, in the strangest of all possible places, the Hard Rock Hotel in Las Vegas. It was the opposite of Fear and Loathing, a temporary autonomous zone of Joy and Friendship. For three days a bunch of geeks drank together, had intense conversations over screwdrivers in hallways, made art and connections, and had an amazing time. We all made our ways there very differently, but it didn’t really matter how. We knew we were meant to be there. My husband and I were on our belated honeymoon. I sincerely believe that most people who attended would say their life changed weirdly after the experience. I became a Romance author and won an award, but that’s another story entirely. 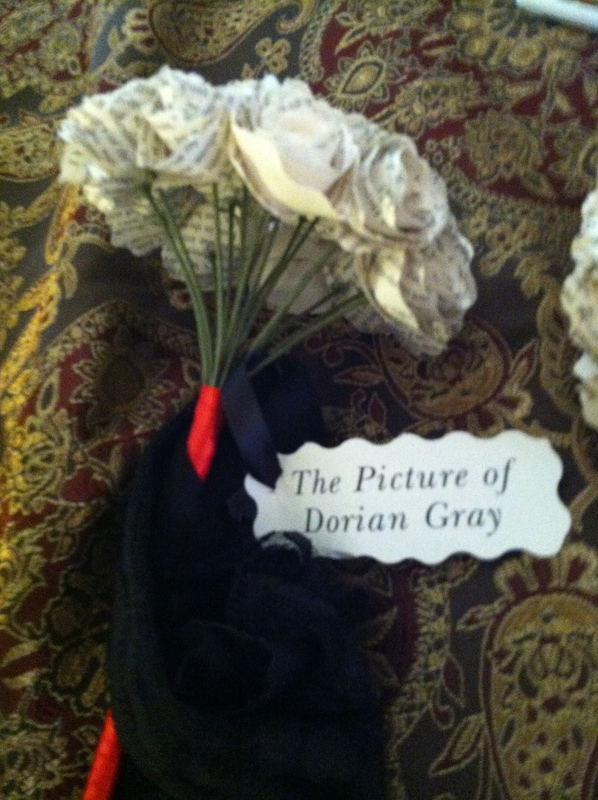 All of Kate’s bouquets were made out of the bridesmaids’ favorite books: this one belonged to my dear friend Sam Moon. Right now we’re talking about Kate Colby and Daniel Gullotta, who I met at Morrison Con, hence all the rhapsodizing about that event. The first time they saw each other in person was that weekend, so I can say I watched them fall in love. 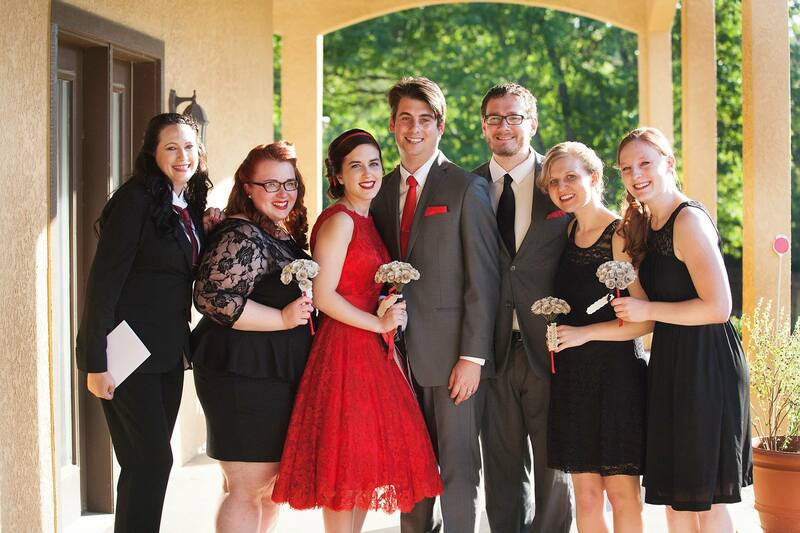 And at the end of last month, I was privileged enough to fly to Kansas (in a roundabout manner) and be the celebrant of their wedding. The anniversary of Morrison Con became their anniversary, too. Since doing cool things is never easy, I took the roundabout way to Kansas. Magic takes effort and sometimes it requires navigating chaos. In my experience, that’s usually the case. There was a fire at an air traffic control tower at O’Hare, the second busiest airport in the entire world, and the airport where I had to get my connecting flight. Getting anywhere the day of the rehearsal dinner suddenly turned into an all-day ordeal–I was on four different planes in one day. I finally arrived in Kansas after midnight, when I was supposed to land at 11 am. Later the next day, not bedraggled. And I completely missed rehearsal dinner, therefore I missed rehearsal. To their immense credit, neither Dan nor Kate were freaking out, and very worried for my welfare. They came to the airport armed with soda and a blanket. It all felt very full-circle and satisfying. Those are moments in life we have to treasure, to hold and examine, to celebrate. Sometimes, magic times, things work out just the way they should. 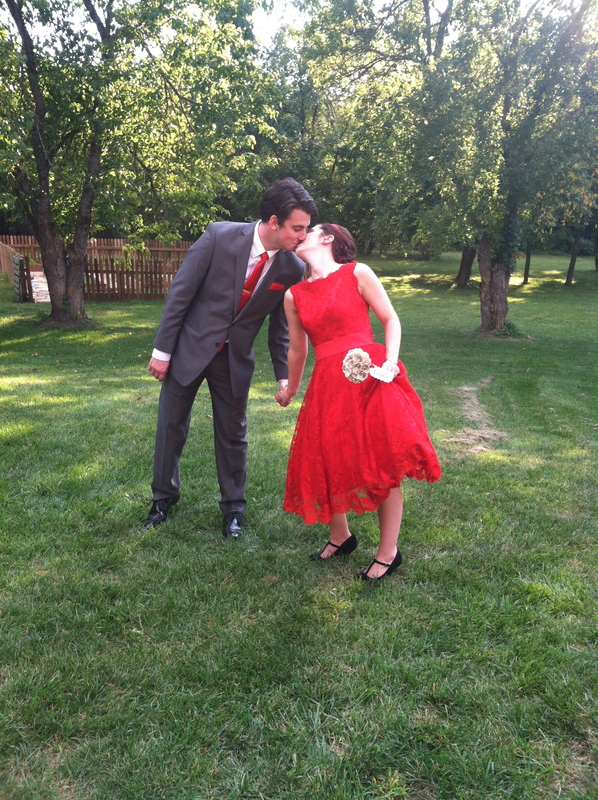 Congratulations again, Kate and Dan! *I am now able to marry people and I’m available for your special day. So, if you want to be married by an eccentric who will cry at the altar, I’m your girl. Previous post ← Big News on The Thirteenth Earl! Last week, Evelyn Pryce, my and Daniel’s wedding celebrant and award-winning historical romance author, shared her unbelievably arduous journey to share in our wedding day. Check out this post for all the crazy details, and while you’re there, take a look at her debut novel, A MAN ABOVE REPROACH.